Mindfulness, what exactly is it and why is my blog even called the mindful nook? Mindfulness means being fully present in everything that you do. This means not worrying about your past or the present, just being in the now and enjoying every single moment of it. But how do you lead a mindful life? How do you incorporate it into your daily living without disrupting your everyday routine, and how do you practice becoming more mindful? It’s not nearly as difficult than you might think. Here are some ways that I incorporate being mindful into my daily routine. 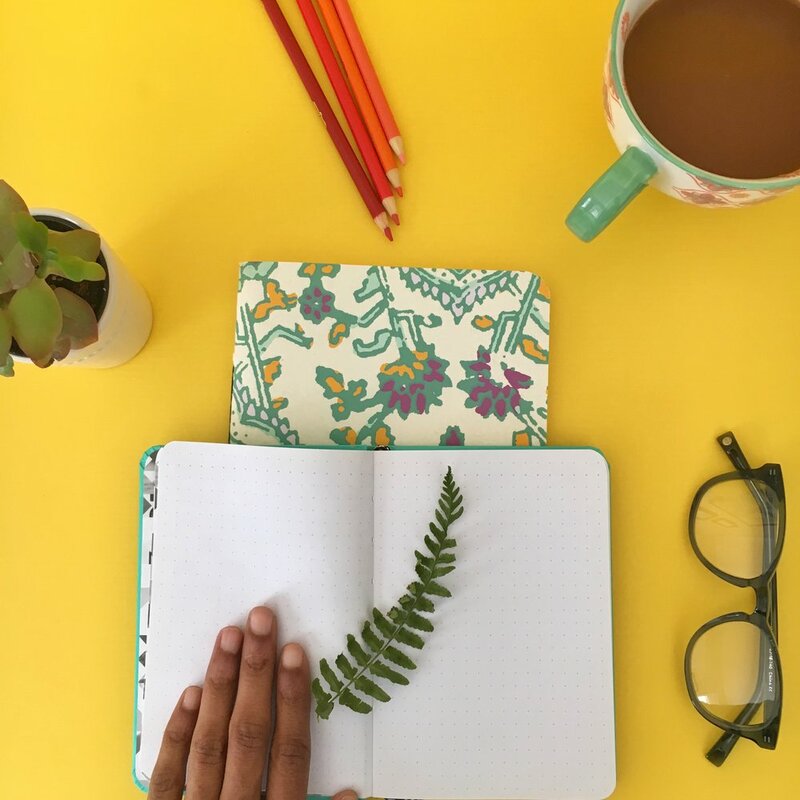 I know, I know… here I go again with my journaling, but if you’ve checked out my article on my all time favorite journals, you would know that it doesn’t have to be time consuming, and how much it can help with setting intentions, and putting your life in perspective. A journal that I love and always recommend is The Five Minute Journal. It’s a quick way to journal, but it also breaks it up for you so you’re literally only ing for a few minutes a day. My very first article on the blog touches on self-care and “doing it for yourself” or DIFY time. I explain that finding time throughout the day to do things you enjoy can alleviate stress, and make you remember why you do what you do. Whether you meditate for 15 minutes, or just sit and watch one of your favorite shows on Netflix, take time throughout the day to do things you enjoy. You’ll notice just how easy it is to be present and mindful when you’re doing the things you love. I get it you’re busy, and your friends and family are busy, but here me out. Spending time with friends, family or significant others who make you happy, can truly help you feel more mindful. How many times have you spent with loved ones, having such a great time, that you don’t even realize how quickly the time flew by. Spending time with loved ones who make you feel at ease, can teach you just how mindful living should feel. Yoga is such a relaxing way to get your exercise on, but also focusing on your breath with every stretch makes you be fully present in the moment. Even when your mind wanders to other things, focusing back onto your breath brings you back into the now. Yoga is always a way for me to relax whenever I see myself worrying about things. Just a daily 30-minute yoga practice puts me back in the moment every time. Meditation to me is the ultimate form of practicing mindfulness. Meditation can be difficult at first for the beginner, focusing and calming your mind can seem impossible, but with much practice you can do it. Don’t get discouraged, even if you’re only able to calm your mind for a minute or two you can already feel much more at peace and relaxed. A great book that I recommend to learn meditation is Sit Like a Buddha by Lodro Rinzler. It teaches you the foundations of how to start a regular meditation practice. I do want to mention that meditating may look different for everyone. Some people will focus on clearing their mind, others will use meditation time to pray. How you learn to practice mindfulness can be different for you. These are just some of the ways that I've learned to become more mindful in my every day life. If you have any other great mindfulness practice tips let me know in the comments below. We're all on this mindfulness journey together. So let's do this!